Facial do form a vital part of any women’s beauty regime. According to ancient beauty practices, mixture of various natural and herbal ingredients gives you a long lasting impression. The Indian market has also launched a number of facial kits with the rising demand in the area of cosmetic care. They normally come in combo packs to steam, exfoliate, massage and extract creams, lotions, facial masks and peels to help you maintain the perfect radiance and natural glowing skin. Here are the top 10 best facial kits available to the beauty conscious ladies in India. 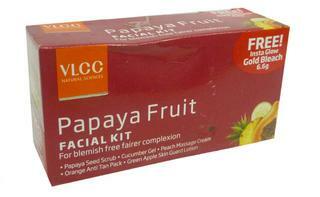 VLCC Papaya Fruit Facial Kit is one of the best facial kits found in the Indian market. It removes skin blemishes, superficial pigmentation and minimizes enlarged pores for a toned skin. It comes in a pack of 5 viz. Papaya Face Scrub, Cucumber Gel, Peach Massage Cream, Orange Anti Tan Pack and Green Apple Skin Guard Lotion. 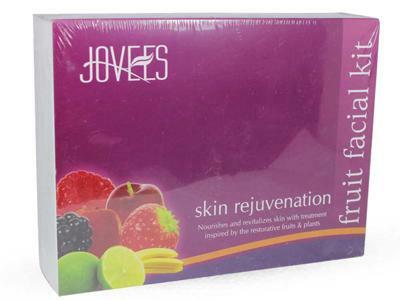 Jovees Skin Renovation Fruit Facial Kit is another best facial kit found in India. This fruit facial revitalize skin by removing dead cells and flaking skin and give you the prefect glowing skin. The kit includes Citrus and Blackberry Cleanser, Apricot and Almond Facial Scrub, Wheatgerm with Vitamin-E Face Massage Cream, Bearberry and Liquorice Clay Pack and Saffron and Bearberry Fairness Cream. 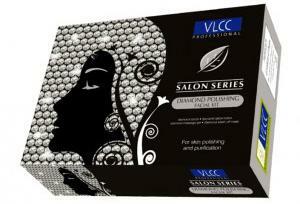 VLCC Diamond Facial Kit is best to obtain a healthy glowing skin. It moisturizes and nourishes your skin and helps it build a strong immunity to fight all kinds of germs and impurities. The kit includes Diamond Wash-off Mask, Diamond Scrub, Diamond Detox Lotion and Diamond Massage Gel. 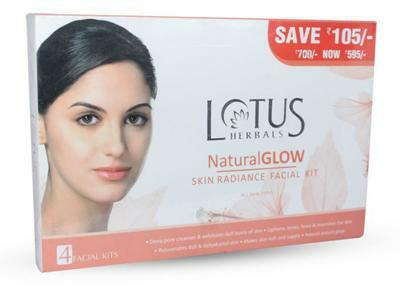 Facial Kit from Lotus Herbals is most popular among Indian ladies. The kit has the ability to rejuvenate dull and dehydrated skin and give you an instant glow. It comes in a pack of 5 pack viz. Lemon pure turmeric and lemon cleaning milk, Orange Peel and Alpine salt Whitening skin polisher, Wheat nourish wheat germ oil an honey nourishment care, Frujevunate Skin perfecting and rejuvenating fruit pack and Cocomoist Cocoa-butter moisturizing lotion. 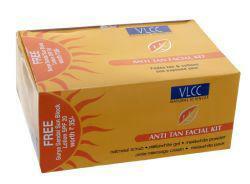 VLCC Anti-Tan Facial Kit is another famous cosmetic care product found in India. It removes black heads, white leach and epithelial cells to keep your skin healthy and glowing all day long. The kit includes VLCC oatmeal, VLCC melawhite gel, VLCC melawhite pack, VLCC pista and VLCC melawhite powder. 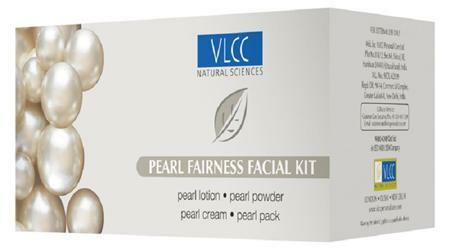 VLCC Pearl Facial Kit is one of the top beauty kits available in the market. As the name suggests it provides an instant glow thereby rejuvenating dull, tired and sluggish skin. The kit includes Pearl Lotion, Pearl Powder, Pearl Cream and Pearl Pack. Contains goodness of real Pearl Oxide, Fenugreek, Sandalwood, and Wheat Germ & Turmeric Extract. 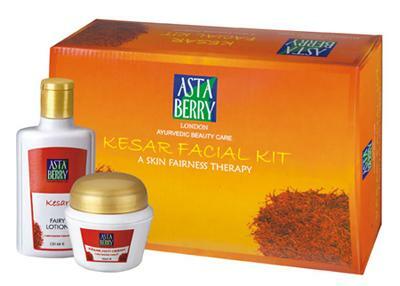 Astaberry Mini Vitamin-e Facial Kit is the best treatment to your skin. You get an extraordinary sparkle upon application. It guarantees a dynamic and radiant complexion by concealing skin imperfections. The vitamin E content help fight against UV rays and gives you a clear spot free skin. 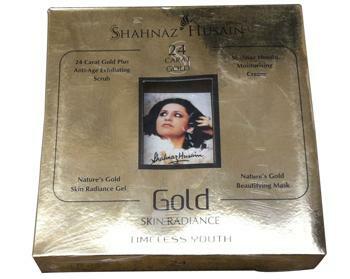 Gold Facial Kit by Shahnaz Husain is one of the best beauty care product popular among ladies. The 24 Carat pure gold content reduces visible ageing and help in skin rejuvenation. The kit includes 24-Carat Gold Plus Exfoliating Scrub, Nature’s Gold Skin Radiance Gel, Shahnaz Husain Moisturizing Cream and Nature’s Gold Beautifying Mask. 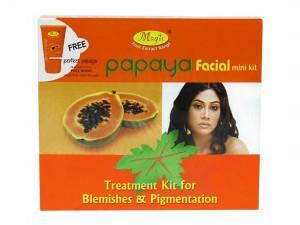 Natures Essence Magic Papaya Facial Treatment Kit is another best facial product available for healthy glowing skin. It lightens blemishes, skin pigmentation and enhances cell stimulation. The kit includes Papaya milk cleansing cream, Papaya exfoliating scrub, Papaya cream anti blemish cream and Papaya di-pigmentation pack. 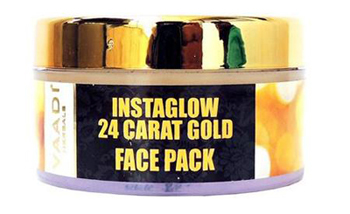 Vaadi Instaglow 24 Carat Gold Facial Kit gives you a lovely younger looking skin after each application. It removes skin impurities by increasing blood circulation in the body. It comes in a pack of 5 viz. Gold Cleansing Cream, Gold Face Scrub, Gold Massage Gel, Gold Massage Cream and Gold Face Pack. Also check out the top 10 Baba Ramdev Tips for Glowing Skin to flaunt your beauty with style. I am looking for a fruit facial kit for my oily skin, can you suggest which facial kit should I go with my oily skin. Kindly suggest me which will be the best one for me. Looking forward to hear you soon.